December 29, 2009  Daniel Borochoff, president of the American Institute of Philanthropy, talks about his work to help potential donors find charities where the needy benefit most from their contributions. Borochoff is joined by Tell Me More personal finance guru Alvin Hall. December 25, 2009  Milo and Lin White are more than $100,000 underwater on their Phoenix home. Milo was laid off last October, and to find work, he had to move to Salt Lake City without his family. The home in Phoenix is so worth so much less than its mortgage that it won't sell, so Milo commutes from Utah to Arizona most weekends. When he's gone, Lin struggles to keep the household afloat. But Milo and Lin refuse to walk away from the house. December 25, 2009  The practice of getting instant credit and a discount at the cash register could disappear early next year if a proposed government rule goes into effect. Retailers say the new restrictions would make it all but impossible to grant credit on the spot. NPR's Wendy Kaufman reports. December 25, 2009  Low prices, low interest rates and the $8,000 tax credit have all encouraged more first-time home purchases. A survey by the National Association of Realtors shows that 47 percent of those who bought a house last year were jumping into the market for the first time. December 24, 2009  While Xboxes, PlayStations and Wiis top holiday wish lists, sales of more traditional games are increasing. 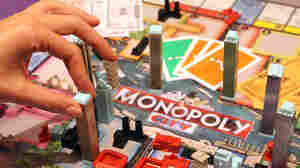 Industry insiders say board game sales were up by more than 20 percent last year, and they're expected to be even higher this year as people look for cheaper entertainment. December 23, 2009  This holiday season, expect flights to be packed tightly. Industry watchers say travelers should be prepared to fight for carry-on baggage space and pay for food, pillows and other onboard amenities. December 22, 2009  More than 15 million people are out of work in the U.S. Many of their jobs, in manufacturing, textiles and the auto industries, are gone forever. The workers left behind now face the grueling task of reinventing and reeducating themselves, in the hopes of finding new jobs. December 19, 2009  These days, small businesses are getting a tax break from the federal government. But many states are preparing to impose big tax hikes by increasing unemployment insurance premiums. In Florida, business owners could see as much as a 1,200-percent increase. December 19, 2009  Instead of "Ho, ho, ho," this year's holiday cry is "Cheap, cheap, cheap!" Retailers want low prices to keep customers shopping, so they're putting the squeeze on manufacturers. As the nation's biggest retailer, Walmart's got the muscles to put the pressure on. December 16, 2009  The Federal Reserve voted unanimously on Wednesday to keep interest rates in the zero to 0.25 percent range. Its policy-setting committee said rates would be kept low for an "extended period" in an effort to keep the nation's economic recovery on track. 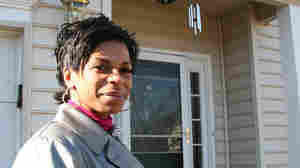 December 15, 2009  The economic crisis shattered that dream for many, and made many other would-be home buyers reconsider. Joseph Gyourko of the University of Pennsylvania's Real Estate Center and Wilhelmina Leigh of the Joint Center for Political and Economic Studies discuss home ownership. December 11, 2009  Cable giant Comcast is trying to build an entertainment empire with its purchase of NBC Universal, but analysts warn the deal might not turn out well for consumers. It could bring higher prices and more charges for content that used to be free, even as it reshapes the media landscape. December 10, 2009  Airlines have set a pretty low bar of service for most passengers — except for those lucky enough to be invited into the airlines' most exclusive frequent-flier programs. For those let in, there is almost nothing the airlines won't do to keep them happy. This includes instant upgrades, private reservation lines, escorts to help make tight connections, and not having to pay all those baggage and itinerary change fees. December 9, 2009  Under the financial overhaul bill before the House, auto dealers would not be regulated by a proposed Consumer Financial Protection Agency. Consumer advocates want to change that. They argue that the exemption means car buyers won't be protected against abusive auto loans originated by the dealers.